Eyelashes and Eyebrow tinting simply look better and it is an excellent complement to lash perming plus can often be done during the same sitting! The lashes appear clearly longer and darker, as the tinting accentuates the full length of the lashes. Women with multi-colored, blonde, red, or various brown shades of lashes opt for lash tinting. Creates the look of wearing mascara without the mess – and of course it’s waterproof! Light brows can be accentuated by a dark shade and it is excellent for those who have very light, thinning or graying eyebrows. It is a procedure that permanently tints for up to 6 weeks. 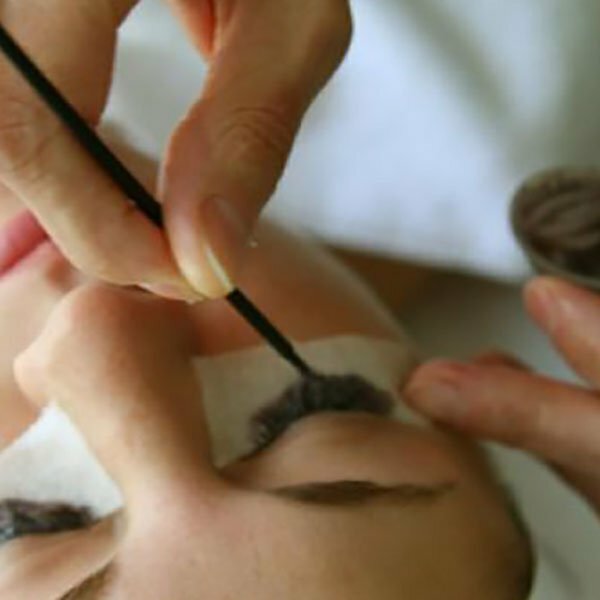 If you are tired of using eyebrow pencil to define your brows, then you should try eyebrow tinting. I had previously sought the advice of two other eyebrows consultants and was left with little assurance that the process would be safe, sanitary and the results would be satisfactory. My consultation with Linda gave me the assurance I was looking for and that she would shape my eyebrows to enhance my facial features. The results were awesome! My permanent eyebrows compliment my facial features perfectly. She is a perfectionist. I would without a doubt refer my family and friends to Linda. My eyebrows were very faint and thin. It was as though I had no eye brows. After much research I decided to seek permanent eyebrows. The day of my appointment I was somewhat apprehensive. However, after meeting and consulting with Linda all of my apprehensiveness disappeared. Linda is very personable. My eyebrows are wonderful! They look natural and not like a tattoo. Linda is a true artist! If you are seeking permanent eyebrows I highly recommend Beauty Techniques and Linda. The work that is done is amazing. This was my first time getting my eyebrows done, Linda did an awesome job! This was my first time getting my eyebrows done, Linda did an awesome job! I am really pleased with my results. I am sending customers your way. Highly recommend Linda for permanent eyebrow/microblading. Pleasure to work with and wonderful service. I have used other permanent makeup artists and Linda is by far the best!